Can we reduce the complexity of the current tax system? What progress is happening with cutting the funding of "sanctuary cities"? How can we encourage the pharmaceutical industry to help fight the opioid epidemic? 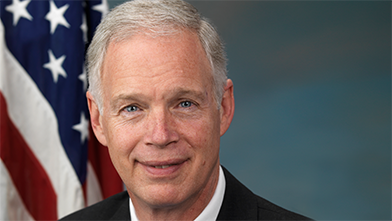 Senator Ron Johnson held this free, live event for Wisconsinites to discuss what is taking place in Washington and in the state. Senator Johnson addressed border control as well as the drug abuse, addiction and overdose epidemic in this country that is traceable back to border security issues. He spoke with callers about sanctuary cities and how they get funding. Senator Johnson discussed Obamacare and his solutions to health care reform. Finally, he addressed the complexity of the tax system and gave some proposals for what he believes would serve the country better.